The 29th Infantry Division is a realism unit spread throughout multiple games in multiple time periods. Each game is supported separately by different companies while serving under the same Battalion so that all games and soldiers function individually and as all whole. Realism is the conducting of a gaming group as close to real combat as possible. Above, you will find our primary navigation menu with five links on it. For each of the links, a submenu is provided on the left of the page with related links. For more information about the 29th, read our About page. This week marks the nine-hundredth recorded training platoon the 29th Infantry Division has trained and graduated. For years, nine hundred times and more, the Lighthouse Corps staff have ensured the possibility of recruitment, guiding and dealing with each applicant so that they too were able to become members and know what to do and when to do it. They have hired, trained, provided, and time and time again, made soldiers out of those wanting to enlist in the 29th: five days a week, every week. 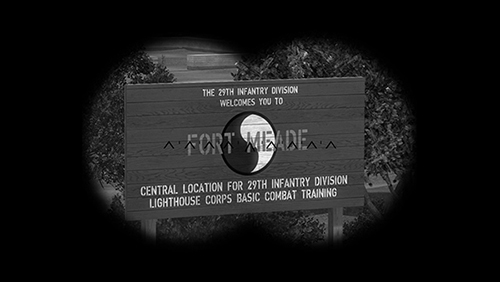 When I think about Lighthouse, the first thing that comes to my mind is just how crazy it is that every member of the 29th has gone through our Basic Combat Training program. Our BCT is one factor that makes our unit what it has been in the past, what it is today, and helps instill the core principles of the 29th Infantry Division. Battalion Headquarters is proud of the entire staff, past and present, and the work they have put in over the last 900 Training Platoons and how well they have overcome the challenges of designing and operating BCT throughout six different games during the history of the 29th Infantry Division. Here's to 900 more, gentlemen, keep up the great work! The number of people that have to work behind the scenes so that just a single recruit can enter the unit is incredible. From the enlistment liaisons who make background checks and make sure that our recruits are ready for training and feel at home to the tough love provided by our training staff once training has begun, in order to mold the recruits into model soldiers. All to make sure that we only let in those individuals suited to join our unit. It's truly great. The Lighthouse Corps today is an impenetrable and efficient one, with CW2 Lauritsen recently passing the torch to T/5 C. Garrett. Over the years, the office has seen many developments providing the corps with the opportunity to get better and more efficient as days go by. It has not always been this way though; while all our training platoons are now nicely numbered in our systems and the term 'Lighthouse Corps' is more than familiar to us today, it was a whole different world back in the days when training platoons first took place. During its inception, the 29th was not yet familiar with the term 'training platoon'. The Lighthouse Corps itself wasn't even a thing. There were no specific training platoons, recruits were simply known as "trainees" (with a fitting [29th T] tag, 'T' standing for 'Training') and all training was done by one man: TSgt. Glackin. Basic training was only conducted every time there were enough trainees to hold training. Everyone that was in the unit already was assigned to be a graduate of the 'Phantom TP', the 100th Training Platoon. This training platoon included members like the now honorably discharged Lt. Col. Wilson. The 1st October 2005 marked the creation of the first actual training platoon with set members and schedules: the 101st Training Platoon. While it wasn't originally called a training platoon, simply going by the name of 'October I', it was a step closer to the training platoons that we have today. The reason for that name was that the 29th aimed to host two of these a month, splitting the month in half and having two two-week training platoons each month. Every recruit and member of the training staff were required to show up every single day for two entire weeks. After our leadership at the time realized the immense stress that this put on the training staff, they shortened the length from two weeks to one and formed what is known to us as the 102nd training platoon. They found that this was still too much and, for the 103rd TP, tried out five days. This was deemed the perfect number and so this system became the new standard, with hundreds of training platoons following in the same format. Weeks and training platoons went by. Originally conducted by the then SSgt. Glackin, SSgt. Otradovec, and SSgt. Pirog, over time our training platoons became more structured and, gradually with each TP, eventually became more uniform. Lighthouse leadership still wasn't a thing at the time, and it solely consisted of the aforementioned instructors who all went to school together. They discussed their plans for BCT over lunch during school hours: the humble beginnings of the Lighthouse Corps. Not only was the system different but so was the entire atmosphere and the way things were done. Maj. Cooke, who a few years ago was chief of Lighthouse himself, had the following to say about BCT back in the day. In the beginning, the 29th was almost unrecognizable from the 29th we know and love today. That started with Lighthouse. It was not uncommon to be yelled at, cursed at, and berated by Senior NCOs that wanted to drill in both respect and fear into prospective members. While many of the activities during BCT would be recognizable to even the most recent Training Platoons, the atmosphere during the sessions was far different from what we see today. I remember being berated and shortly after session banned by a senior Lighthouse instructor during pub play because I did not follow what I was taught the night before. This was public for all to hear and was humiliating, but I can certainly say I never made that mistake again. The Battalion Executive Officer also went on to tell us about the transition period from the way it used to be to something more like what we do today. This was par for the course for Lighthouse through the first half of 2007. Sometime during this period, I became an ADI and later a DI, and vowed to remember how it felt for me; how easy it would be to just quit. As more and more of the founding members of Lighthouse retired, a clear directive was issued by the leadership of both Lighthouse and the entire unit to reform and become welcoming and supportive during BCT. I was proud to participate in this transition, but it was far more complicated than anyone had anticipated. Apart from being difficult to break old habits, the 29th learned that the old-school way of public humiliation kept a lot of the less savory public players out of the unit. As we became more welcoming and supportive, more and more trolls and people who only wanted to hurt the 29th passed BCT. And so, around 2010, the expectations of BCT and the Lighthouse Training Staff morphed into what we see today, Maj. Cooke tells me. BCT is a place for teaching/learning and camaraderie. On a more subtle note, BCT is the primary screening to see if potential members will fit into the mold of the 29th. The training staff have an immense responsibility of learning about these cadets and getting a feel for their intentions and potential disciplinary problems that they may cause. The 29th ID would not have existed for this long if it wasn't for the incredible work done by the Lighthouse staff during BCT. While the style and personality of BCT has drastically changed, the underlying lessons have only evolved with the change in games. The foundation laid after many years is still what the 29th is built on. Over the next 900 TPs, many more modifications will be made, but the foundation will always remain the same. While all our current training staff use custom maps for training purposes, this was completely unheard of back in the days of our first training platoons. When we switched to Day of Defeat, we first started off using dod_lighthouse as the map for BCT (hence the 'Lighthouse' Corps). The map proved insufficient and our training staff had to switch maps several times during their training. Can you imagine? Working closely with the training staff and unit headquarters, the Engineer Corps was tasked with the creation of the Fort Meade training map, the map that we still base our current maps off to this day. A new era was born for the 29th when, on August 4th 2008, the adoption of Darkest Hour was announced after months and months of evaluation and pubbing on the Darkest Hour server set up a few months before the announcement. Lighthouse worked tirelessly to create a new training program for this new, higher-end game and on the Sunday of August 24th, the 236th Training Platoon would set the foundation for many more training platoons to come in this new game on our very own Fort Meade that had been recreated in the Red Orchestra mod by the then T/5 Cranston in conjunction with the Engineer Corps. This training platoon was led by the then Sgt. Thompson and two recruits joined the ranks of the 29th. There is a greater mix of cultures and races now in the 29th, which I feel is a great bonus [...] it shows what can be achieved by the 29th, that everyone is everyone else's brother-in-arms, not Joe Blogs from such and such country. Not only had the 29th conducted 250 training platoons, but they had also processed over 1150 enlistments. Great achievements for sure. With such an accomplishment, I truly believe that this unit will be around for many more years, enough to celebrate a TP 400, 500, maybe even 600. And nothing but right he was, only now we're four hundred training platoons ahead of the highest number he mentioned. Little over a year later, the 350th TP was celebrated meaning we had now conducted 'official' BCT a quarter of a thousand times! T/5 Pandy, the Chief of Lighthouse at the time, was in charge of this one. A hundred weeks after the 300th, on December 4th 2011, the 400th Training Platoon started at Fort Meade - the map that had housed BCT since early 2008. This training platoon was led by Cpl. Ramos and graduated two new Privates. 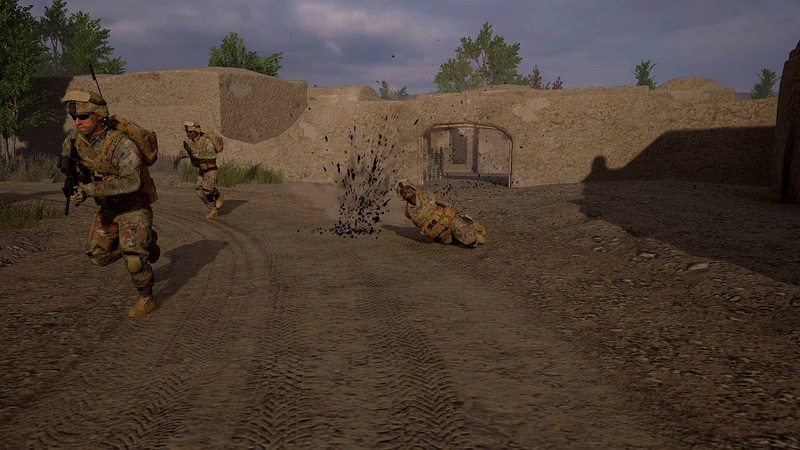 It's September 13th 2013: an announcement popped up saying the 29th would be expanding to the Arma 2 mod Invasion '44 and Red Orchestra 2/Rising Storm after months of play-testing the aforementioned two games, meaning BCT was now conducted in those two games as well. Darkest Hour remained beside the new games. 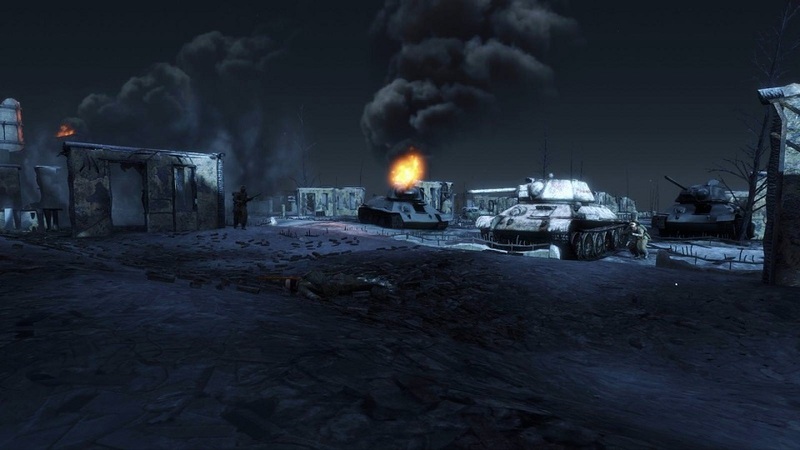 On February 1st 2014, however, development of Invasion '44 was canceled due to the release of Arma 3, making it increasingly harder to pursue what we do in the 29th, player versus player. 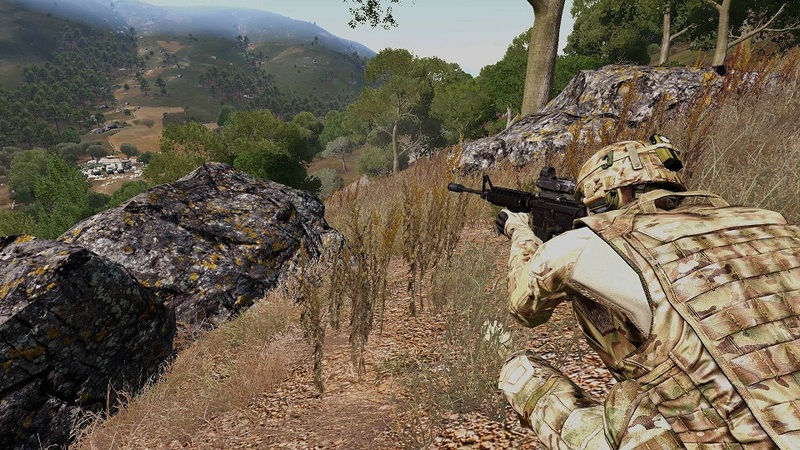 From February 2nd 2014, the 29th included Arma 3 in its games as a replacement. Moving on to October of 2015, the Lighthouse Corps marked its ten-year anniversary under the command of the then 2Lt. Jacobsson, an important milestone. Two years later, we're here, facing another important milestone. Over the past twelve years, Lighthouse has found itself pushed down, devitalized, and broken, but today it is standing strong and flourishing more than ever. Lighthouse is not just the oldest office in the unit; it's been the historically best indicator for future leadership. All the qualities that we look for in our training staff (confidence, control, dedication, fairness, and adaptability just to name a few) are the same qualities that make exceptional leaders. Once upon a time, you had to act as Chief of Lighthouse during the completion of your OCS, if that says anything about your expectations for leadership. We've come a long way since then, but Lighthouse still grows leaders, both in new cadets and in staff. I am sure many of you are aware, but for those that aren't, Lighthouse, as well as the 29th as a whole, is about to hit a huge milestone: the quadruple digits. This is by no means a small feat; it has only been achieved by the countless hours of hard work by many, many people. Everyone in the unit has helped in one way or another to reach this goal. This accomplishment only belongs to one group: the 29th. 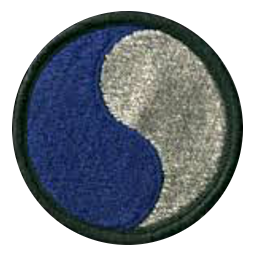 We thank anyone in Lighthouse Corps, past and present, for taking part in building the solid foundation of the 29th Infantry Division and providing us with quality training and education for twelve years now. On November 26th 2007 we celebrated a hundred; now, it is our honor to celebrate nine hundred. Here's to many more training platoons to come! 2017 was a big year for the unit, with its barrage of changes and events shaping the course of the past 12 months and the future for us as a whole; so as 2017 transitions into another page in the history books and comes to a close, it's time to look back on the year and all that it brought. We started off the year pretty quietly as we eased back in from the winter break, but by March we had our first big event with the announcement of the 29th's "First Annual Dona-cruitment Drive Extravaganza", running from March 19th till April 30th. For every recruit that graduated BCT and made it into the 29th, Battalion Senior NCO MSgt. Conrad pledged to donate $1 to help the 29th continue running, in addition to promising a free Steam game to each of the three highest recruiters in each Company at the end of the drive. A raffle was also launched including all those in the unit who provided a recurring donation of any amount, giving prizes like Steam games and gaming gear to whoever was lucky enough to win. Also in March, we saw the announcement of MSgt. Conrad's "ZeuSaturday" campaign for Arma 3, beginning with Operation Typhon. This was a bi-weekly PvE event featuring an on-going story, ran by MSgt. Conrad and PFC Vogel as gamemasters. Other people within the unit were also given the chance to run their own campaigns on every other week. Initially open to all in the unit, the unique series of campaigns were soon opened up to the public too. The start of April saw mass confusion among the unit as "junior platoons" were announced, declaring that all members under the age of 18 would be separated from their elder unit-mates into a set of different platoons; this confusion subsided when it was realized that it was April Fools' Day. Later on in April brought us the first official deployment of the year against another unit for Baker Company's First Platoon. 2Lt. Dashwood led the side here against the 1st SS in a strong victory during the defending round, but unfortunately they were not as fortunate in the attacking round. Two Bronze Stars, two Soldier's Medals, and a Purple Heart were awarded for efforts during this deployment. April actually brought us two official deployments, the second of which involved our own AP3 under WO1 Littlefield clashing against the 352nd Volksgrenadier Division. Two Bronze Stars, two Soldier's Medals, and two Army Commendation Medals were distributed following their victory in both rounds of the deployment. On May 11th, the 29th launched a public "exploration" server into Squad. This was to let the unit "test the waters" in the game and see if there was enough interest from the player-base for an expansion into it. This largely contributed to the decision for the expansion later on in the year. Also in May we had the first of Sgt. Barclay's two OCS scrimmages, the final steps to being commissioned an officer in the 29th. His second one came in mid-June, whereupon he was commissioned a Second Lieutenant at the end of a close battle. July brought us the OCS scrims of WO1 Brewer as he showed he had what it took to be an officer in the 29th. After two tough fights, he was commissioned a Second Lieutenant. Also in July was the start of Charlie Company's Mechanized Battle of the Squads tournament, an event which saw rich participation from all squads in the company as they fought each other over a 4 week period. Each match's objective was to win control of a certain sector of the map, and each squad was given a Russian BMD-2 airborne infantry fighting vehicle to help them do so. At the end of a fierce few weeks, CP2S3 emerged largely victorious with a powerful and undefeated run against the 5 other teams. 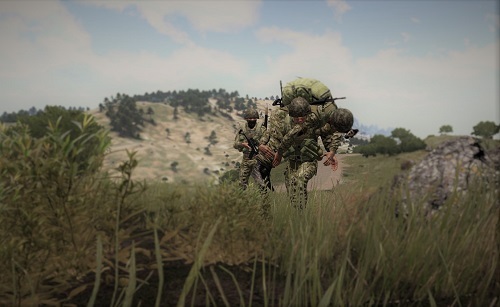 Arguably the biggest change of the year came in September when it was announced that two new companies, "Dog" and "Easy", would be opened very soon after an overwhelming response to a unit-wide survey to allow the unit to expand into Squad and Rising Storm 2: Vietnam. This change largely affected Able and Baker Company who both saw a large portion of their enlisted personnel migrating to the new companies. Moving back to September, this month also saw the OCS scrims of CP2's Platoon Leader, WO1 Kear. Both fights came to a very close conclusion but the Warrant Officer by the end had shown he more than possessed the skills to earn a commission to Second Lieutenant in a ceremony that also saw multiple enlisted personnel be awarded various medals for their efforts during the fights. The battles themselves were tense and rife with impressive displays of marksmanship from both "sides" involved in the scrim and it even earned one CP2er, PFC Ahlinder, the honorific title "the sloth" for his meticulous but devastating slow-and-steady solo CQC building clearing in a nail-biting 3v1 situation. This would not be 2017's last OCS scrim in Charlie Company with Sgt. Nelson, at the time a Platoon Sergeant for CP1, proving he deserved a commission a month after in October. He was simultaneously promoted to Platoon Leader of CP1 and commissioned a Second Lieutenant in a virtuous ceremony that followed a hard-fought brawl. "For the attacking round against the 2nd MRB, after having spent a few hours just staring at the terrain and the map, I started to realize a victory would be impossible without a single hard push supported by whatever we could spare. If we let the enemy whittle us down in a long skirmish, we'd no longer have the numbers necessary for that decisive push. As for the defending round, with the 2Lt. safely in cover in the main compound, I decided that I would be best used as a recon element, given the many angles we couldn't cover. I moved to cover the eastern flanks, east of third squad's position. There, I ran into a two-man flanking force. After having recovered my composure and putting on my big-boy pants, I killed one of them and legged it out of there, advising S3 of the possible flankers. I made my way into the town east of the objective, where I spent around 20 minutes simply keeping my eyes on the eastern flank. After hearing some gunshots and a few target call-outs, I moved further north in the town where I ran into what I later found out was their HQ team which I slowly took out by continually relocating after each kill. After coming off of my high, I made my way nearer to the objective as the enemy was likely to do a last desperate push. Those last 10 minutes waiting for "GAME" to be called felt like an eternity." What is the definition of a realism unit you may ask? Another term for a realism unit is a Virtual Military Organization (VMO) and it is the practice of an online organization trying to function as close to the real military as possible. This usually comes with ranks and a chain of command, logistics, and expressed tactics on the field of battle. The set moment in history when someone decided to start an organization that resembles the real military in video games is unknown, but VMO's have seen a surge in popularity over the last decade with the release newer technology . In just about any sandbox or military-styled game, someone can start their own VMO. Popular games such as Day of Defeat, Red Orchestra, and the ArmA series have become breeding grounds for these realism units. But what makes someone want to be a part of a realism unit? This question has many answers and is all dependent on the individual. All members of a realism group such as the 29th have some affinity and love for video games, but that would not explain why someone would willingly take orders from superiors and spend their time and resources for such a hobby. Perhaps some 29thers can offer insight to why they chose to be a part of a realism group. "It's just different to most other units. Compared to another unit, I feel like, in the 29th, the rank system holds more weight. I don't know what it is but in the 29th if you see a rank you know that that person probably has been in the unit for 2 or more years and therefore knows what is going on and obviously has some commitment to the unit." "I'm part of a realism unit because I'm willing to get some feeling of how the real army might feel and as it's going now with my years into realism units with swapping and discharging, I've found that I quite like the strictness and realistic way of communicating. I also find it an easy way to overcome my introverted personality and learn to speak for others and work with a group towards a single goal." "After I enlisted and got accepted into the 29th, I saw that this unit contains more than just a basic game playing community: a group of members come together for creating a different environment and style of good gaming." "Mostly for the pay, and the dental... But in all seriousness, I am here for the community. The lads I have served with these last three years are some of the finest I have ever had the privilege of fighting alongside." "Competition. The building of a team, honing their skills, anticipation before the battle and the thrill of being in it." "Realism adds an extra layer of fun. I missed it from my time in Day of Defeat and the 29th is one of the few remaining realism units from those days." "For being a part of an organized operation, with a lot of people working together." Whatever our reasons are for being a part of the 29th as a realism group, we all have some reasons in common. We enjoy learning from our mistakes and working with others, and we enjoy meeting new people that share common goals and interests. But above all, I think we all enjoy the ability to call each other friends and comrades. Whatever your reason may be to be a part of a realism unit, or wanting to try one out, we have a place for you here. This October, we mark the 10 year anniversary of the Lighthouse Corps. As the base of the unit, this corps has been successful in recruiting and training cadets to be the next generation of 29th soldiers. 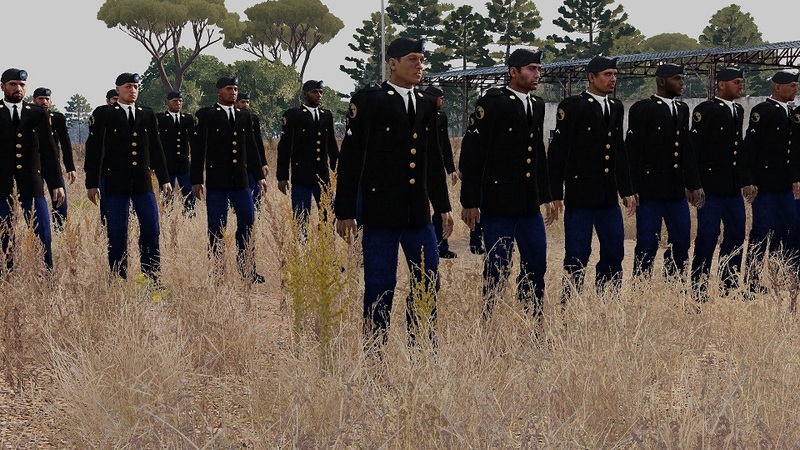 The Lighthouse Corps started its enlistment processing and training of recruits in DoD on dod_lighthouse, all the way back in 2005, and hasn�t skipped a beat since. It has brought up many members of the 29th, in fact, every notable name within the unit. From Lt. Col. Wheatley to veteran SSgt. Brewer, there is no shortage in names and training platoons which have risen from the Corps� dedication and hard work. Some memorable TPs are the �centurions, the 100th (Cpt. Wilson), 200th, 300th, 400th, 500th, and 600th. More specifically, TPs with notable graduates include the 121st (SSgt. Brewer), 145th (MSgt. Hart), 153rd (Lt. Col. Wheatley and Cpt. Cooke), 192nd (FSgt. Lev), 246th (Cpl. Selleck), 252nd (TSgt. Balzer), and 292nd (FSgt. Hill). All training platoons, from the 112th to 280th, are kept in the archives of the old forums system. 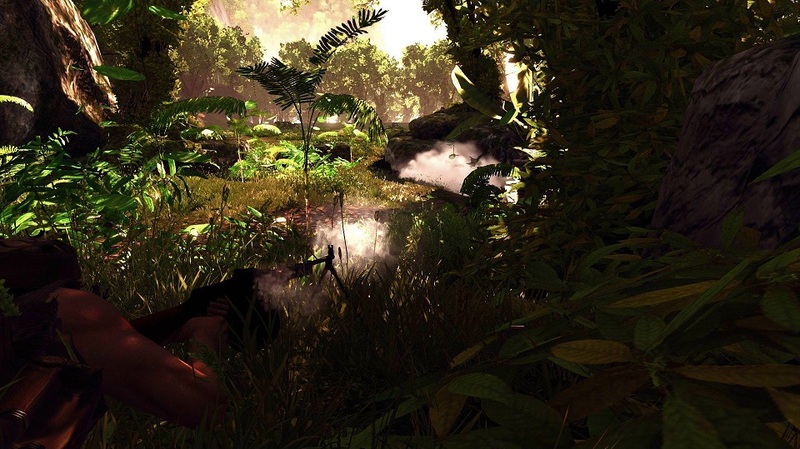 Shortly after the release of Darkest Hour, the unit moved to the new Red Orchestra mod and has been training and drilling in the game ever since. The new game gave rise to the creation of the memorable Fort Meade map that all cadets train on before graduation. As far as what goes on behind the walls of Fort Meade, 2Lt. Jacobsson, Chief of Lighthouse Corps, had his input. �We expect our DIs and ADIs to be the best, and we want to give the cadets an experience of being yelled at. Not breaking them down, but getting them ready to be in the squad they will join. We want as many to pass as possible, someone might fail here and there attendance or POA wise, but we are benefited more if as many cadets as possible graduate." All remained the same after the move to Darkest Hour until the fall of 2013, when a historical move was made by HQ. 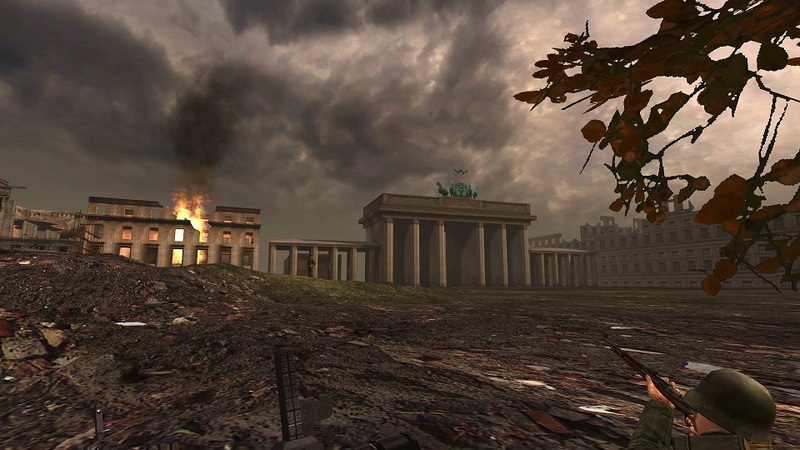 The unit was to split into three different games; Baker remaining in Darkest Hour, dissolving Dog Company, and assigning Able to Rising Storm and Charlie to Arma II, then to Arma III. The Lighthouse faced a difficult situation in which they needed to deal with three different games and task enlistment liaisons, DIs, and ADIs to these games. However, the Corps never had any serious lack of personnel due to its popularity in the unit. Training in the different games varies due to different game types, engine tricks, and vehicles. While training of these aspects is different for every company, the principle of training remains constant throughout. Although many believe that the Lighthouse only deals with recruits, 2Lt. Jacobsson proves otherwise. �We deal with anything involving recruits, but also deal with recruitment records and awards related to recruiting and weapons passes.� The Lighthouse Corps currently has 84 members, making it the largest office in the unit.